When I wrote that article in April of last year, the capitalist renaissance seemed really far away. But now I think it's almost here! One reason is that the concept of a values driven market is starting to emerge in a series of ways. 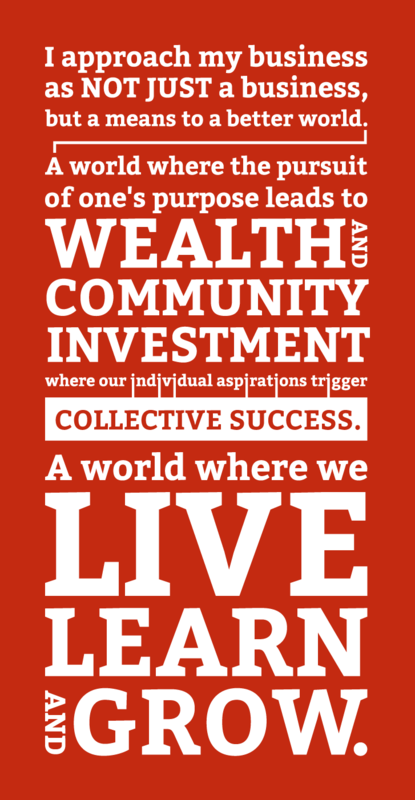 While it hasn't been released yet, Aaron Hurst's upcoming book, The Purpose Economy, is providing the language, context, and trends that really capture the drivers of why a market driven by purpose is the next evolution of our economy. What I love most is his concept about who drives this new economic engine. "The Purpose Economy presents unprecedented opportunities to create economic value and help improve the lives of people and the health of our planet. There is no Steve Jobs or Bill Gates of the Purpose Economy yet–it is ours to design and own, to create and expand markets in now unimaginable ways." Another signal that the capitalist renaissance is arriving is that credible players are creating financial vehicles to tap into the rapidly growing market. JP Morgan Chase projects the impact-investing market has the potential to reach $1 trillion in invested capital! And you know what they say, money talks and... well you know the rest. "PFS contracts combine nonprofit expertise, private sector funding and rigorous evaluation to transform the way government and society respond to chronic social problems." The beauty of this financial vehicle is that it makes investing in previously overwhelming and complex challenges (i.e. - reducing recidivism amongst previously adjudicated citizens) as attractive and accessible as investing in building an airport. Investors understand their financial risk up front and organizations who tap into this capital realize predictable financial returns based on performance. Best of all, PFS contracts channel funding previously earmarked for programs that historically haven't moved the needle to opportunities that have a direct market feedback loop. So while I'm not declaring victory yet, I'm definitely hopeful about what will happen as the rise of values driven entrepreneurs meets the emergence of the values driven market. And unlike the revolution, with your help the renaissance will be televised and tweeted.